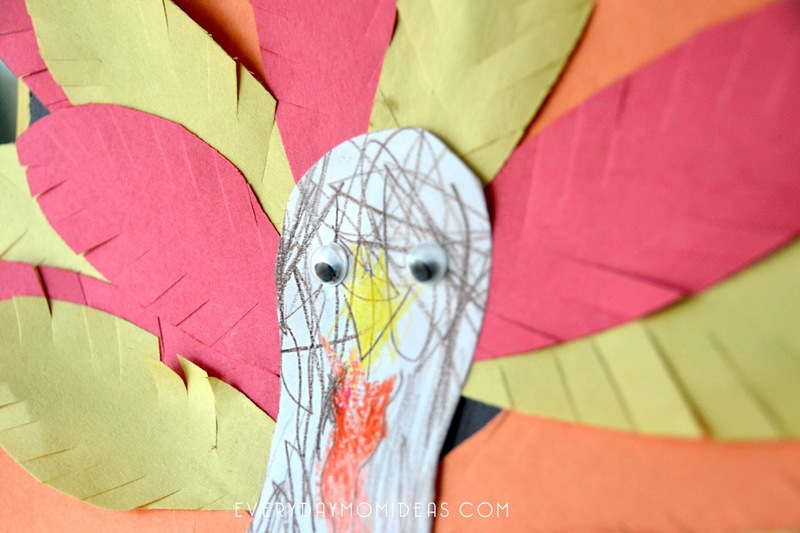 This Thanksgiving Turkey Paper Banner Sign is perfect for ages two and up. You can make it as simple or as fancy as your ability and desire commands. This makes a perfect toddler and little kid craft. Help cut out the shapes and let them have a blast gluing on all the pieces. I made mine with four colors of construction paper and one white printing paper. 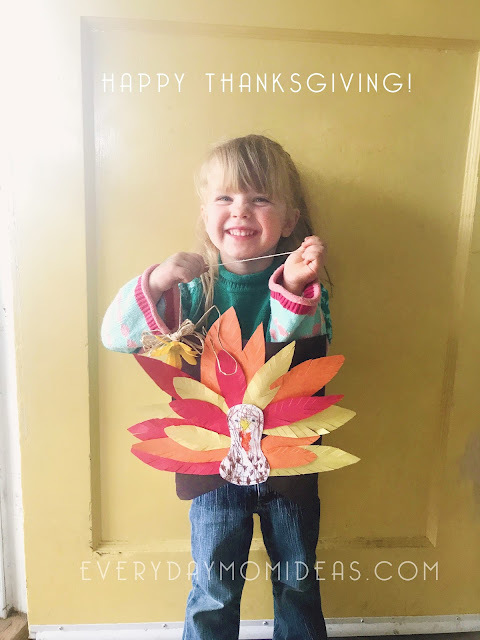 I drew our turkey design on and let my little one color in the turkeys face before we got started on gluing all the feathers on the sign. 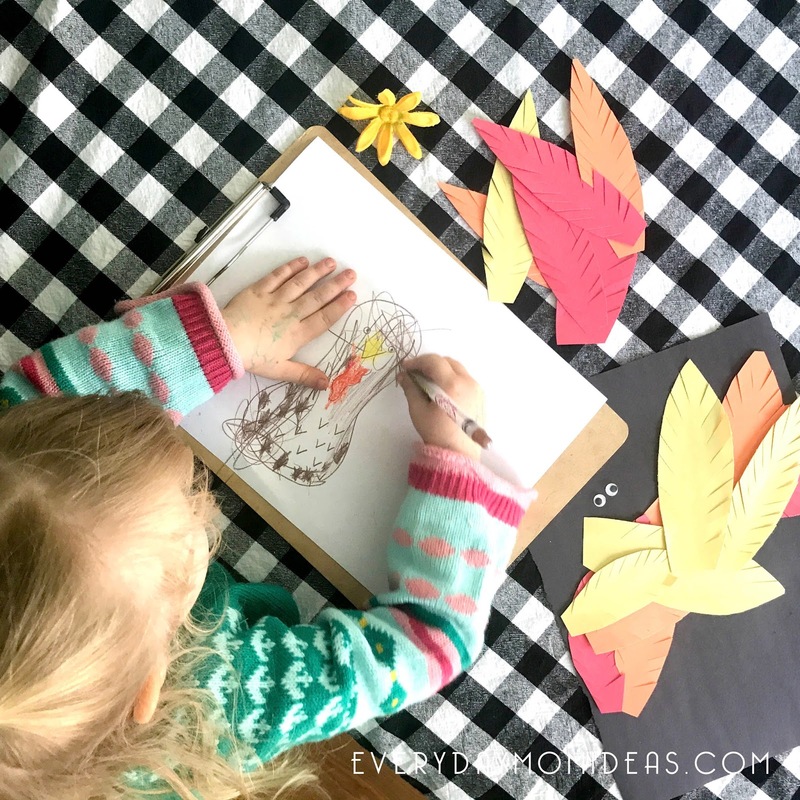 If you don't want to take the time to hand draw your turkey out, you can use these helpful printables I have included for free in this craft blog post. Look for the link to the FREE printables below. 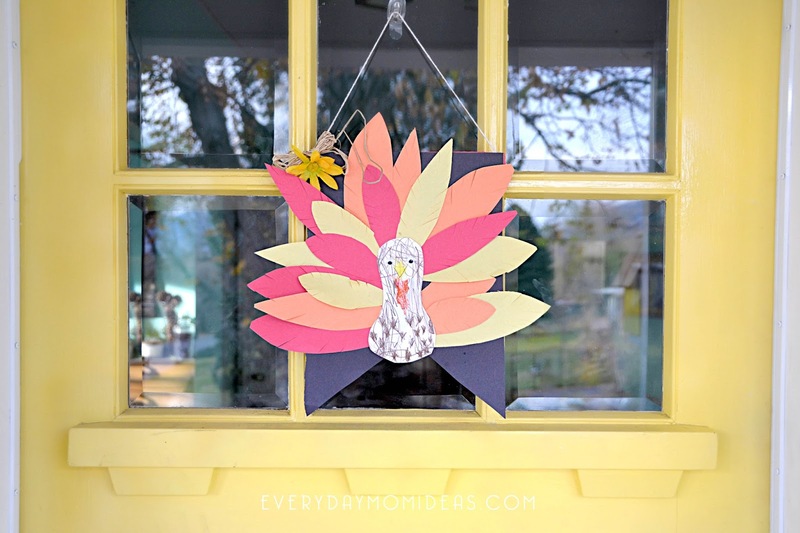 I have a white turkey printable and a colored version available. 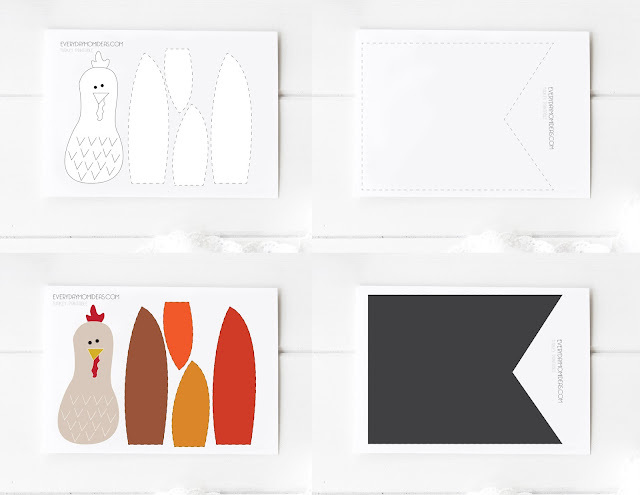 You can use the white turkey printable to color in or use as a template for your colored construction paper. 1. 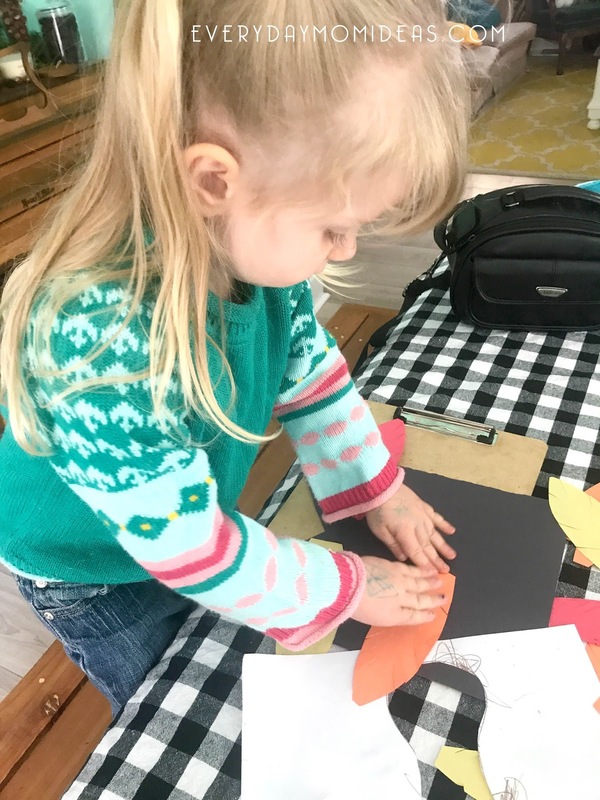 Cut a large triangle shape out of the bottom of black construction paper to create the tail/shape of the sign that you will be using as the base of your Turkey Sign. 2. Once you have colored and cut out your turkey body, trace the shape onto your sign base (black construction paper) Trace the turkey where you will be placing it on your sign. Do not glue your turkey on yet. 3. Use the traced outline of your turkey body as a guide to placing your feathers. So that when you glue your turkey body on top all of the feathers will be tucked in neatly. 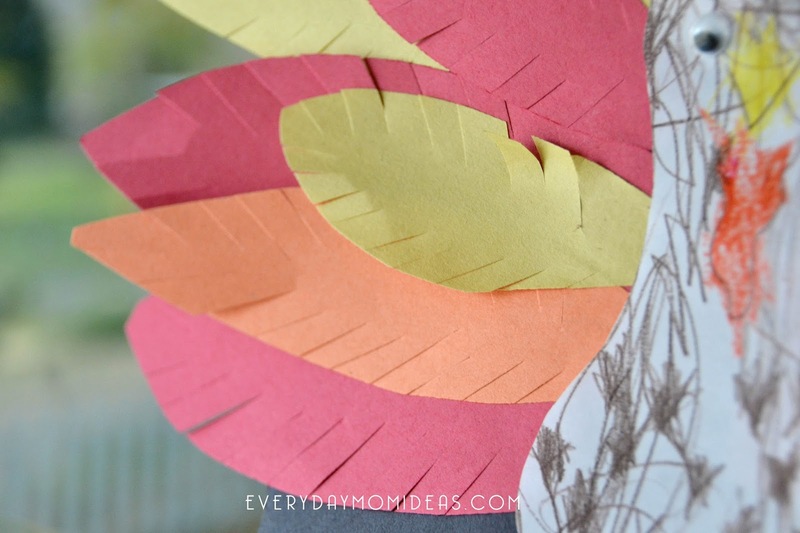 Feather Tip: Give your construction paper feathers that little extra something by cutting little slits on both sides to create a more 3D feather look and to add a little extra detail. Googly eyes: Always use googly eyes when applicable. LOL! Adding googly eyes always makes a kid craft feel more legit! Add extra ribbons, bows, and sparkles for extra fun! Tip: Construction paper is quite flimsy so to keep your paper banner from folding in you can glue cardboard strip on the top back or extra layers of paper. Or you can take it one step further and use a wooden dowel to secure your banner to. We used a long strip of folded up construction paper and glued it on the top back to steady the craft. 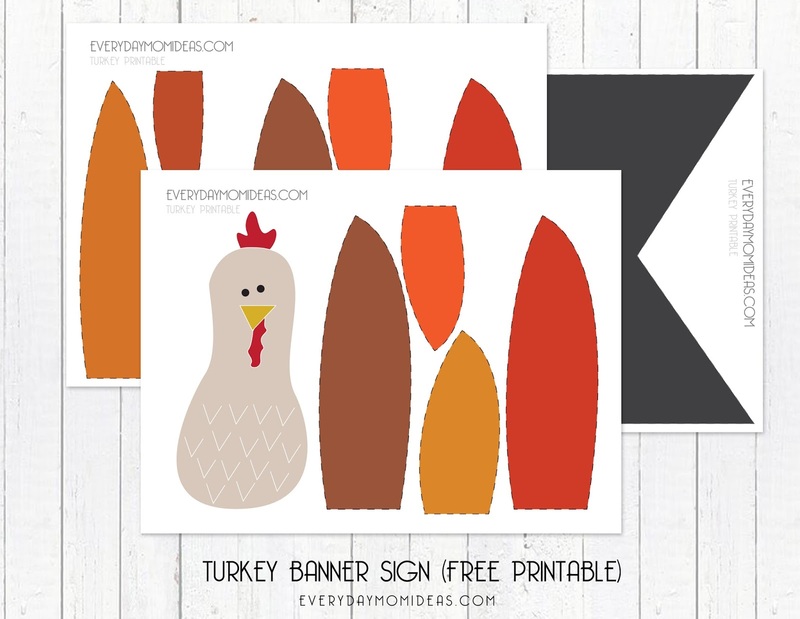 Click here to instantly download or print the Thanksgiving Turkey Paper Banner Printables here via google.docs. 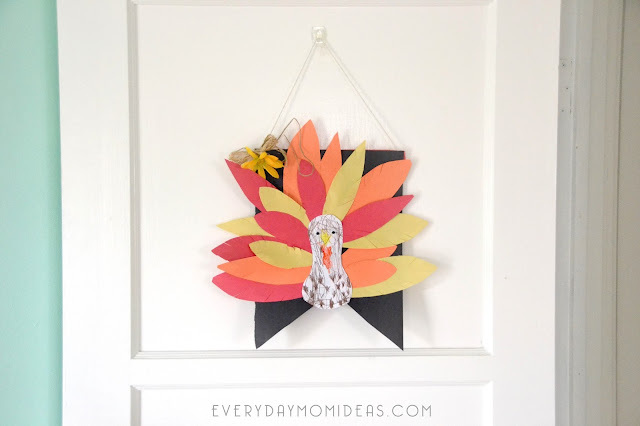 Please share this Pinterest friendly image below of this Thanksgiving Kids Craft with your friends and family or save it for next Thanksgiving.